This Hopped Cider rings a bell. I thought I'd written about this cider before. Cinabar informed me that was a different hopped cider. I know I write a lot of beer blogs, and a few cider blogs, but hopped cider seems quite rare to me. Hops added to cider is more of a taste thing, perhaps, rather than a necessary preservative. However, saying that if hops were just a preservative for beer and not a taste thing, I guess there would only be one type of hops used in beer… Anyway, cider lasts quite a long time without hops, so I guess it's a taste thing here. At 4% volume this Hopped Cider smells like the innards of a sweet apple pie. It really does, I'm not pulling your leg. It seemed a shame to start drinking it, this Hopped Cider smelt so good. It made me think of a good hot pudding after a Sunday Roast. Strange though because on taste the sweetness is quickly replaced by the herbal hops, which spring to the fore and then in turn bring out the slightly sour cider apple flavours into the aftertaste. 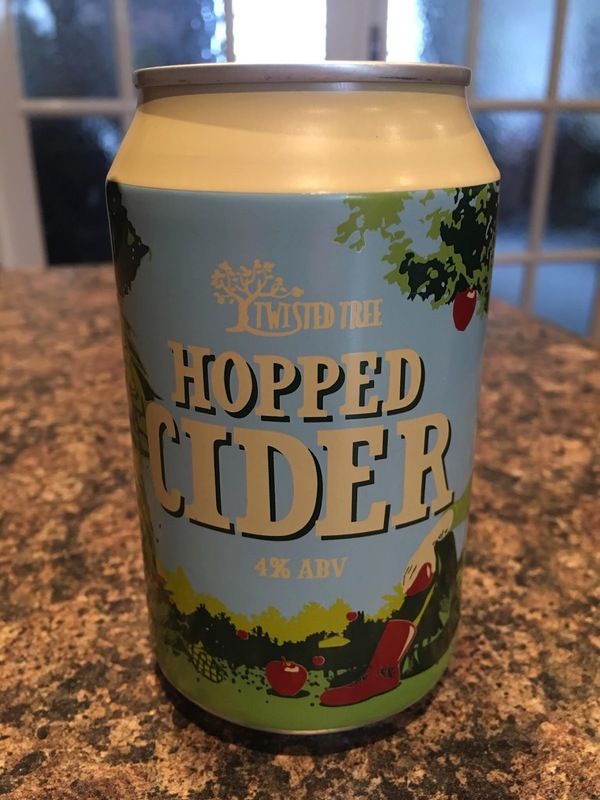 From first smell I thought I'd be recommending this Hopped Cider as a sweet pudding cider, but it'll probably go well with any white meat or spicy meal, or enjoyed clinking glasses together after a good day out with friends.